The cornbread is going to be crumbled up for dressing today and I am making candied sweet potatoes as well. I didn’t have two round pie dishes so the square one I used for Apple pie. My grandmother makes a fabulous pie crust. Alas I didn’t inherit that gift. Cakes and cookies and breads but no pie crust for me. 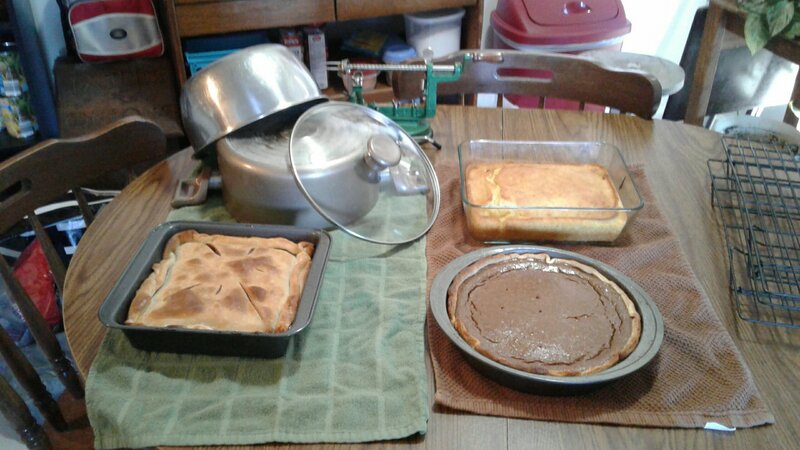 Everything is made from scratch (minus the pie crust). I am going to make chocolate chip oatmeal cookies on Friday.